Nova 96.9 has announced its Summer Breakfast lineup, as Fitzy and Wippa take a well-deserved break. News journo Matt De Groot and Nova 96.9 PD Sarah McGilvray are set to be joined by a special co-host in the form of The Bachelorette and The Bachelor Australia‘s Matty J.
Matty recently also filled in for Dr Chris Brown as travel host on The Living Room, which saw him nominated for Most Popular New Talent at the 2018 TV Week Logie Awards. He’s also been a guest host on Studio 10 and Have You Been Paying Attention?. It won’t be his first stint at radio, after spending a week on Sea FM Gold Coast earlier this year. “For me, Fitzy & Wippa stand at the pinnacle of the radio industry so to be asked to fill in from them over summer is such a huge honour,” said Matty J. “I couldn’t be happier to work with a station I’ve grown up listening to and alongside two absolute legends, Matt and Sarah. 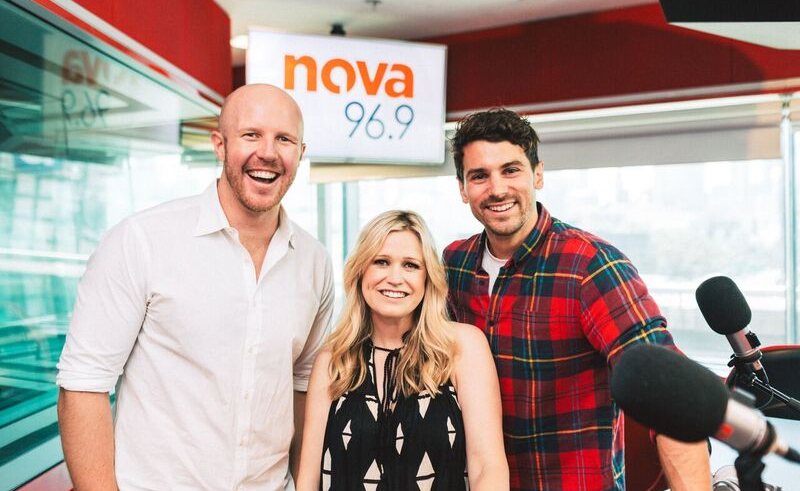 Summer breakfast with Matt, Sarah and Matty J will be heard for two weeks from 10 to 21 December, on Nova 96.9. Fitzy and Wippa will return on Monday 21 January 2019. Wasn’t Matty J’s season of the Bach the most boring to date? Didn’t they then flick to d grade celebs to try and fix the show? Should make for good radio.